The first trailer for Black Sheep director, Jonathan King's, adaptation of New Zealand's beloved kiwi fantasy adventure Under the Mountain has dropped and, for straight up kiddie fare, its not too bad. Even though it looks like it'll be more tolerable than the latest Race to Witch Mountain remake, it obviously won't hold a candle to the truly luminous City of Ember. It sort of looks like The Spiderwick Chronicles if you ask me. Under the Mountain is having its world premiere during the 13th Puchon International Fantastic Film Festival this month. 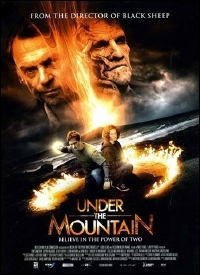 Watch the first trailer (via: yahooxtra) for Under the Mountain after the break!